Michelle Bell has been teaching freestyle dance and fitness classes for children for years, now she’s fallen for BORN TO MOVE. 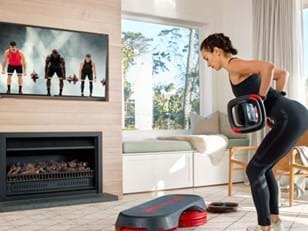 With Les Mills providing carefully crafted music and choreography she’s become a more confident teacher, and she can dedicate more energy to promotion – something she’s doing exceedingly well. Check out Michelle Bell’s top tips for promoting BORN TO MOVE. Champion it. I believe in the philosophy, the music and the choreography and I know there is so much potential so I put in 100% effort to make it work. Gaining traction can be challenging but whatever you do don’t give up. Simply remind yourself why you started and think of the children’s smiling faces! Sell the benefits. Improved balance, agility, core strength confidence is just the beginning. In my opinion BORN TO MOVE is just as important as the swimming, dance or football lessons that so many children do. Children don’t run around outside like they used to, so this is simply the modern-day version of letting children go out to play. Create connections. Classes are a great opportunity to help parents understand the benefits of BORN TO MOVE but you can also do this beyond the studio. Sharing class videos, reminders and endorsements on social media will reach more people (just make sure you have the permission of anyone who features in the content). Make the most of your environment. Talk to parents and distribute flyers after your facility’s adult classes, during swimming lessons and even at the local café. Get the community involved. Staging promotional classes in busy community spaces is a great way to raise the profile of BORN TO MOVE and spark interest. Regular participants love being invited to take part in their favourite classes in a public setting and new children and parents will join in the action. Handing out ‘free trial class’ cards is key to getting these people into classes. Stage a school showcase. I sent a letter to local schools offering the opportunity to run a 30-minute sample class and schools jumped at the opportunity. Getting school children to experience BORN TO MOVE will drive more into our regular classes. It’s also helpful as we work with schools and the council to explore how BORN TO MOVE could be incorporated into school PE lessons. Get your facility on board. Share possible attendance figures and future potential to prove that promoting BORN TO MOVE will pay dividends. It’s not purely about getting children moving, a carefully constructed timetable means you can attract parents into adult classes at the same time. You can make it easy for children to progress through the age groups and even get teens to transition into adult classes. Scope community opportunities. Identify upcoming events where you could showcase BORN TO MOVE. Create promotional resources. 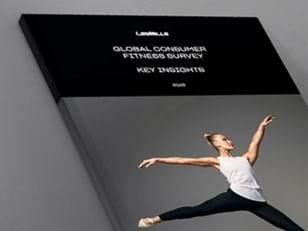 Posters, brochures, class passes, social media assets… talk to your local Les Mills team as we have a suite of materials that can be tailored to suit.